Cuisine Kathleen: Happy Birthday and Tablescape Thursday! Today, Wed., is Susan's birthday. Susan at Savoring Time in the Kitchen..so no one gets confused! I predict a very exciting year for her, with a handsome stranger coming into the picture after the summer. He will steal her heart away, but unfortunately, will need to be burped and changed..and he may be a bit of a whiner too...But she will love him to bits!!! And if it is a girl, her heart will be filled with love too! And lots of frilly dresses! Today I dug out the Easter decos, so I thought I would do a little Spring table.. I used a yellow mat, layered with a pink one. The polka dot plates are from Christmas Tree Shops. The pitcher is from Mikasa, yellow dotted napkins were my mom's, the little baskets I used as a napkin holder are from many moons ago, a store called Lee Wards..and they were 50 cents ea. 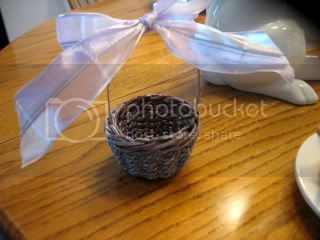 I tied a pale purple ribbon on them..Little salt and pepper shakers came with an egg plate that was a gift. These are little egg plates from CTS..I got diff pastels. 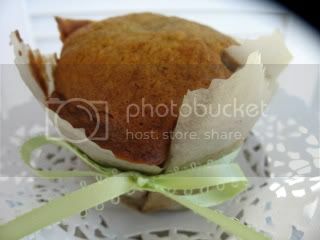 Here is the recipe, from Land O Lakes Country Heritage. Heat oven to 350°F. Grease and flour bottom and sides of 10-inch springform pan. Set aside. Combine all coffee cake ingredients in large bowl. Beat at medium speed, scraping bowl often, until well mixed. Spread batter on bottom and 2 inches up sides of prepared pan. 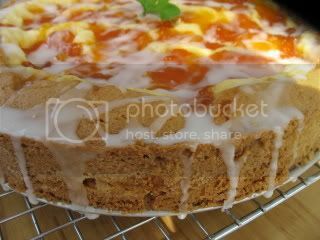 Combine all filling ingredients except apricot preserves in small bowl. Beat at medium speed, scraping bowl often, until well mixed. Spread evenly over batter in pan. Spoon preserves evenly over filling. Bake for 45 to 55 minutes or until crust is golden brown. Cool 20 minutes. Loosen sides of cake from pan by running knife around inside of pan; remove sides of pan. Meanwhile, stir together powdered sugar and enough lemon juice for desired drizzling consistancy in small bowl. 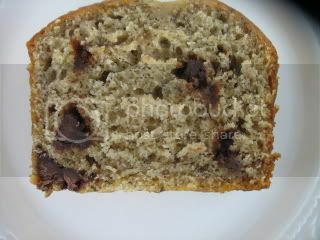 Drizzle over warm coffee cake. Serve warm or cold; store refrigerated. I have a few other things to show you, but this is long enough and I think I hear snoring! Thanks for coming, I appreciate your visit! Kathleen I am going to stay awhile, your beautiful tablescape, cakes and lamb with roast potatoes are mesmerising me. Kathy. Happy Birthday to Susan too. Very fun post K..Love all the ways you baked your goodies..The parchment's cute too..Yikes I miss the CTS..
Love seeing all your goodies! A beautiful table. 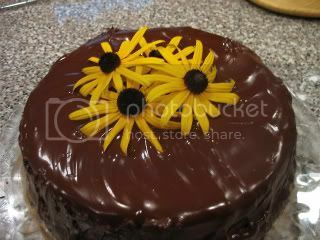 Your food looks amazing and I love to decorate desserts with flowers! I lOVE those polka dot dishes!! HE? Do you know something? LOL :) Happy Birthday, Susan! Great cake, Kathleen! hey, I didn't get a word verification! I got distracted by all of that wonderful food and nearly missed the tablescape! I loved your pretty cake with the white dollups on top and the pretty candies. So fresh and unexpected. Cute description of the little man coming into Susan's life. Happy B-day to her! Well, bring on the food. It all looks delicious and you've set a table for some serious ambiance. Love the spring colors! 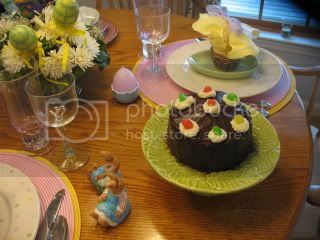 A beautiful cake for SusanQ and a lovely Easter tablescape. I love the whimsy of the polka dots. Oh, yum! 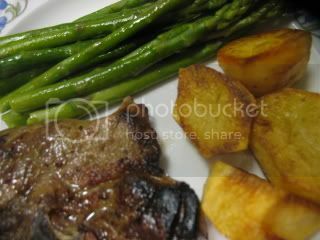 Now I'm craving lamb chops! It's a little hard to read the amounts on the coffee cake recipe. Can you - pretty please -type this out for us? Looks like Easter has arrived at your home! Good food and a pretty tablescape too! I'm celebrating a friend's birthday also tonight. Your little cakes are to die for. Your table is lovely and I love the plates....my fav is the way you have the banana Choc chip cake and that bow...I could go on and on. Beautiful cake ... the flowers certainly do brighten it up and make it very cheery. 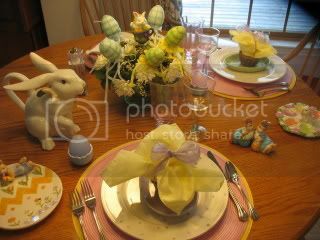 I love all the Easter accessories ... the bunnies, pastels, and eggs. So sweet! Pretty table and great recipe! What a beautiful table, and the cakes are so pretty too! You are quite talented. Kathleen, very pretty cake for Susan! 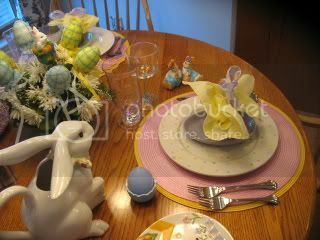 Love your Easter table. I went to CTS this week and all the polka dot plates were gone! Very cute. Lovely table. Your food all looks so yummy too! Thanks for the recipe. Have a great day! I love all of your Easter stuff Kathleen! You have so much to love too lol. I love the mini cake you made. I sure learn from you and do more mini things. I just make the whole thing and eat it all or let it go bad. Neither is a good thing lol. Pretty post. Thanks for the recipe. It really looked tasty. Very festive tablescape. Love all the Easter touches. The food looks delicious too! 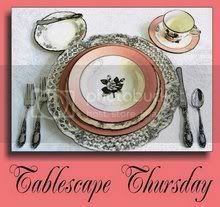 Kathleen, you DO have the best tablescapes....I look forward to Thursdays so I can check yours out! Looks like Hoppy Birthday and Spring all over the place. 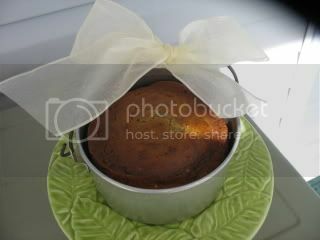 Yummy desserts served on cute dishes. CHEERS! and blow out the candles. Happy Birthday to Susan. 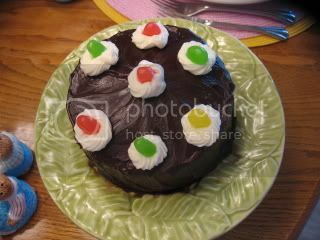 The cake looks delicious along with the other food photos. Thanks for the apricot recipe. Your tablescape and the food you are serving look delicious. My gosh, I'm late to my own party :) Thank you, Kathleen! I laughed when I finally figured out the Black-eyed Susans and Tulips - LOL. No snoring here - loved the post! OH, your meal sounds wonderful - mouthwatering is more like it! Yum! Love your spring table - it makes me smile. So fresh and happy. 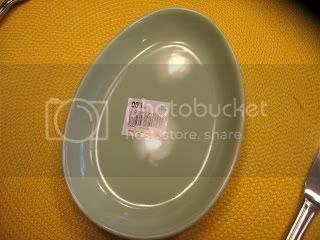 Love the egg shaped plates! A very pretty spring table! Love all the pastels. Happy Spring! Kathleen, I think the Easter Bunny would do the Bunny Hop at the mere sight of your offerings! 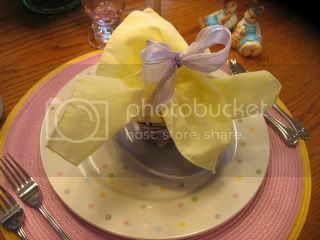 LOVE your Easter pastels, and that meal looks delicious!!! Love the polka dot plates, I don't think I know what CTS is? So much creativity! I love all the unique touches, especially baking the mini cake in the basket, incredible! everything in this post was absolutely stunning!